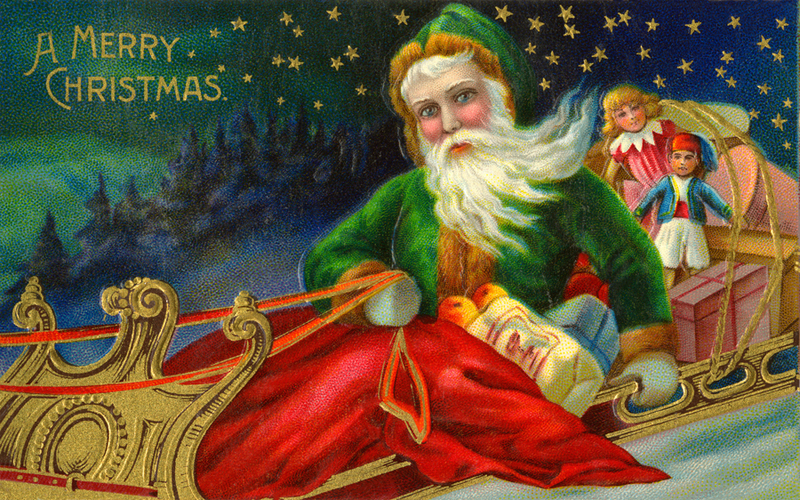 You are here: Home / Holidays / Christmas / Mailbag: What Do You Tell Your Kids about Santa? Do you tell your children about Santa Claus? Why or why not? This week’s question is one that has been posed to us often over the years — especially back when all our children were little. If by “telling” you mean, have we made our children aware of all the Santa hype that surrounds the Christmas season, then we’d have to respond affirmatively. We’ve had many discussions about such things. Although Santa has never been our primary focus at Christmas, our kids are familiar with him and his backstory. For a child to grow to adulthood without ever hearing about Santa Claus would mean he’d been very sheltered indeed. 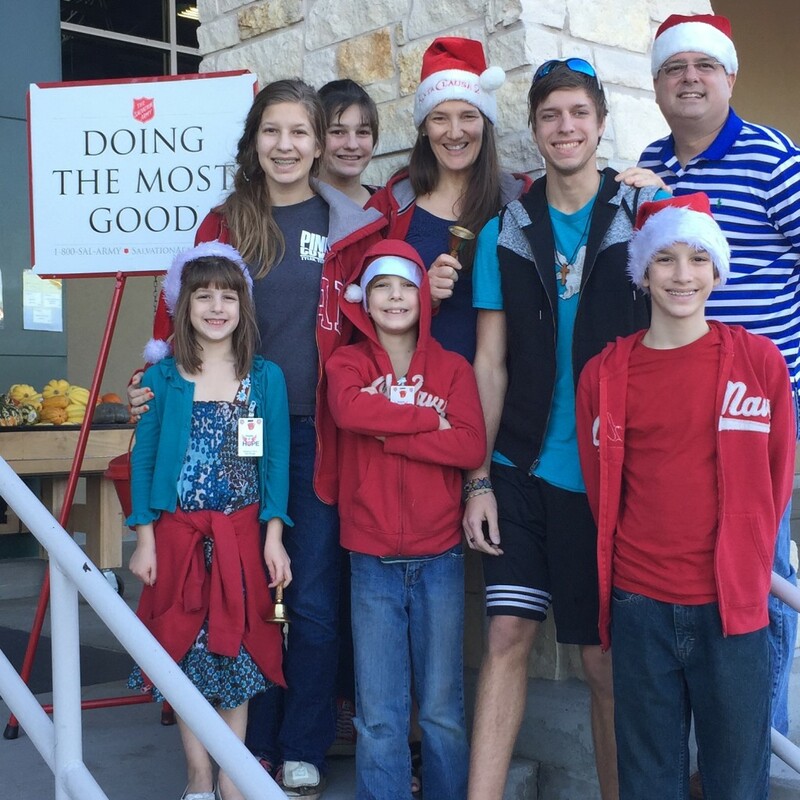 So our children have watched movies like Elf, they have memorized poems such as The Night Before Christmas, and they’ve worn red velvet caps to ring the bell for Salvation Army. A few of the braver ones have even had their photos taken sitting in Santa’s lap. 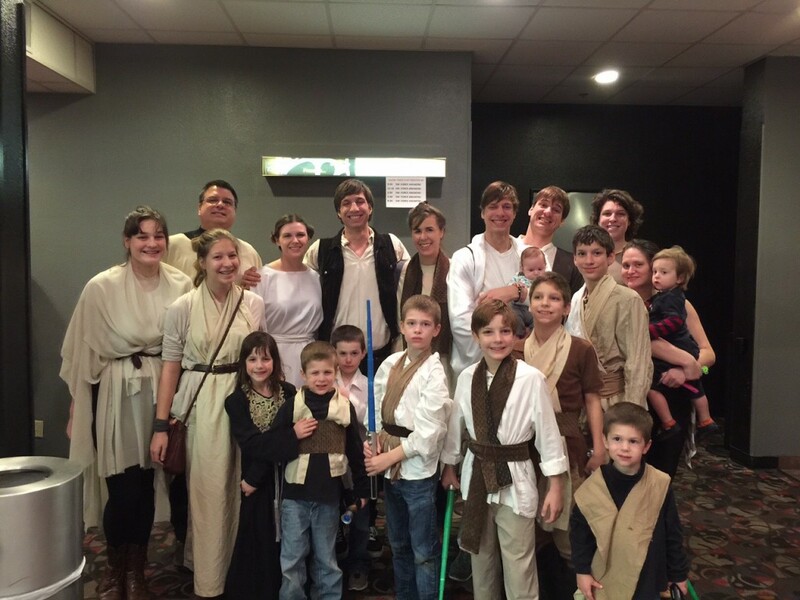 We have enjoyed all these things in much the same way that we’ve enjoyed watching Beauty and the Beast or reading The Lord of the Rings or dressing up in Star Wars costumes. It’s fun, but everyone knows it’s all make-believe. 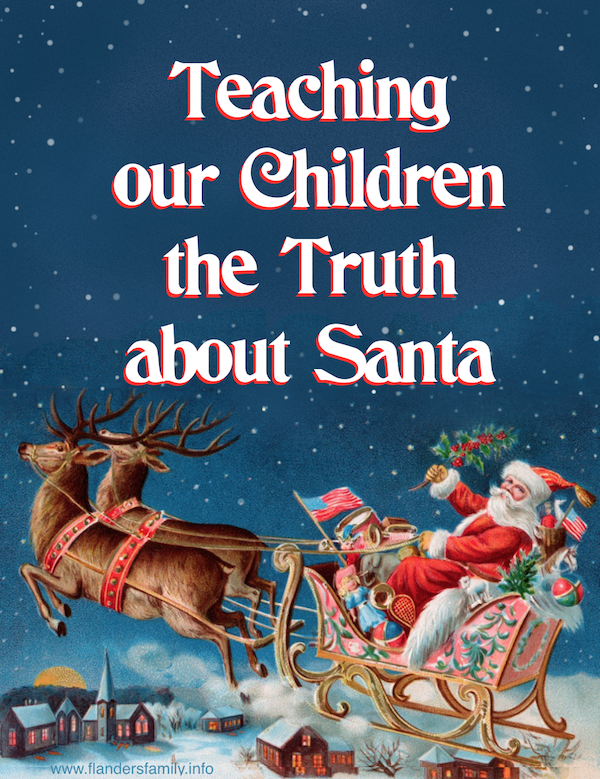 But if by “telling your kids about Santa Claus” you mean, have we led them to believe that Santa Claus delivers their presents or spies on them in their sleep, the answer is no. We’ve never taught them that. Our family views Santa in much the same way as we view evolution. To be completely unfamiliar with either of those topics is to be culturally illiterate. So we discuss these matters, being careful to separate fact from fiction when we do. FACT: There really was a Christian bishop by the name of Saint Nicholas who lived in the fourth century and was known for his generosity toward the poor (likewise, a species really can change and adapt to its environment — a process known as micro-evolution). FACT: Saint Nicholas was persecuted for his faith and was imprisoned by the Roman emperor Diocletian for refusing to deny Jesus as God (and Charles Darwin spent five years aboard the ship HMS Beagle as their Naturalist before writing Origin of the Species). FACT: St. Nick does not circumvent the globe on Christmas Eve in a sleigh pulled by flying reindeer (and one species does not magically turn into another — fish will never grow feet and fur and start swinging from trees, no matter how many millions and billions of years you give them to do so). FACT: Santa doesn’t keep tabs on whether you’ve been bad or good — but God does (in the same way, man and monkeys share certain similarities not because they have a common evolutionary ancestor, but because they have a common creator). We think there’s a place for fantasy and fiction and fun and games, but we take care to only present them as such. We value our children’s trust and never wish to abuse it. Childlike faith is a precious thing, and we wouldn’t want to see it misplaced. We want our children to know that the things we teach them as TRUTH, we believe with all our hearts, and we would never knowingly deceive them about anything. In our opinion, no Christmas tradition is worth calling that fact into question. What are your thoughts? How have you handled the Santa Claus question in your family? If you’d like to read the other posts in our Christmas in July series, follow this link. I love you for all of the wonderful things you do for your family! I’ve been telling my daughter who is seven now that I am santa claus since she was 3 years old and she doesn’t believe me.